Low slope roofs at the best prices by the best low slope roofing contractors in the Greater Vancouver area. Living in Burnaby, the scenery is spectacular and the weather is incredible. From the exceptionally scenic outdoors to the thriving urban culture, it’s a great place to live. But it isn’t without its flaws. Winters here are wet instead of snowy and at higher elevations, snow can stay for many months. This type of climate can be tough on roofs. As a trusted roofing company in Burnaby, we offer our clients the safety and security they expect from their roof. If you are looking for exceptional Burnaby roofing services, personalized customer service, quality materials, and professional craftsmanship, we are here for you! At Roofing Vancouver BC, we are committed to doing the job perfectly so that no time or resources are wasted. We guarantee that all our services are affordable and that after we leave, your roof will keep your family safe and protected for many, many years. What Is A Low Slope Roof? All roofs have to have at least a slight slope to let the water drain. Low slope roofs are only slightly pitched, usually with a slope of less than or equal to 3 in 12 pitch. This means that for each horizontal foot, the roof goes up fewer than 3 inches vertically. While a steep slope roof relies on gravity to pull water in one general direction and drain it over the shingles and into the gutter, a slow slope roof does not have enough of a pitch for water to flow in one general direction. For this reason, a monolithic membrane covering is applied onto the roof to keep it watertight all the way to the edges. This membrane is installed as continuous sheets that are bonded together with adhesives or heat. Instead of a continuous membrane covering, some low slope roofs are made of sealed metals such as tin or copper. These metal panels are soldered together in an interlocking pattern. Low slope roofs are typically found on industrial and commercial buildings like hospitals, warehouses, hotels, factories, supermarkets, and apartment buildings. This type of roofing is valued for its ability to withstand strong wind, UV radiation, and freeze-thaw cycles. 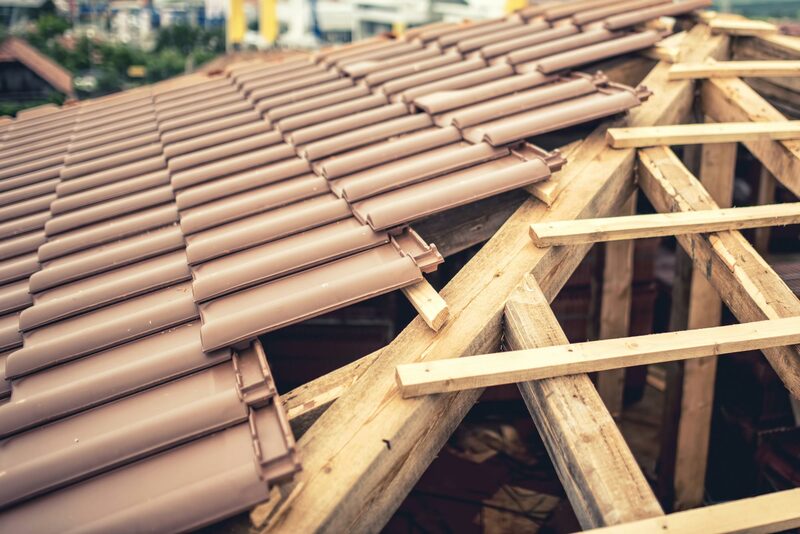 At Vancouver Roofing BC, we use only the best low slope roofing materials to make sure that your roof provides long-lasting protection for your home and family. Our installation process does not involve messy adhesives and is conducted by experienced professional roofers who will ensure that the project stays within budget and is completed on time. Low slope roofs offer numerous benefits but do require regular cleaning and maintenance. To avoid tough-to-fix problems and costly repairs later on, make sure that your roof is regularly inspected and any damage immediately repaired. Our roofing experts have years of experience repairing residential and commercial low slope roofs in the Greater Vancouver area. At Roofing Vancouver BC, we understand that your home is your most precious investment and that your roof plays a major role in protecting it. We conduct roof replacements in such a way that the rest of your property is adequately protected during the process. We always ensure that your new roof is stronger and better than your last one. Need Low Slope Roofing Services Today? At Roofing Vancouver BC, we are happy to provide a FREE inspection on any commercial or residential roof. Call us today, and we'll help you get your low slope roof back in tiptop shape. Our team is looking forward to serving you.